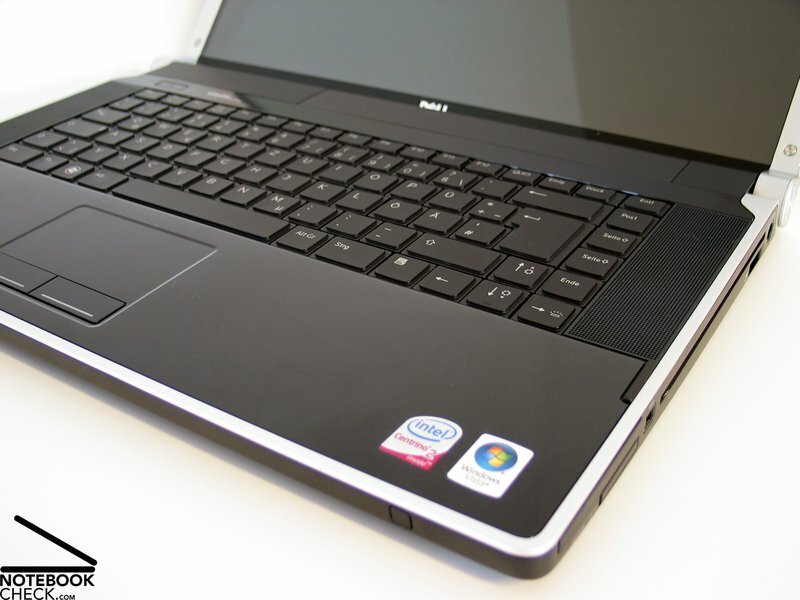 Fans of Dell's efficient XPS series might once again get their money's worth - Dell now offers the Studio XPS 16 with an efficient ATI Mobility Radeon HD4670 graphic card. 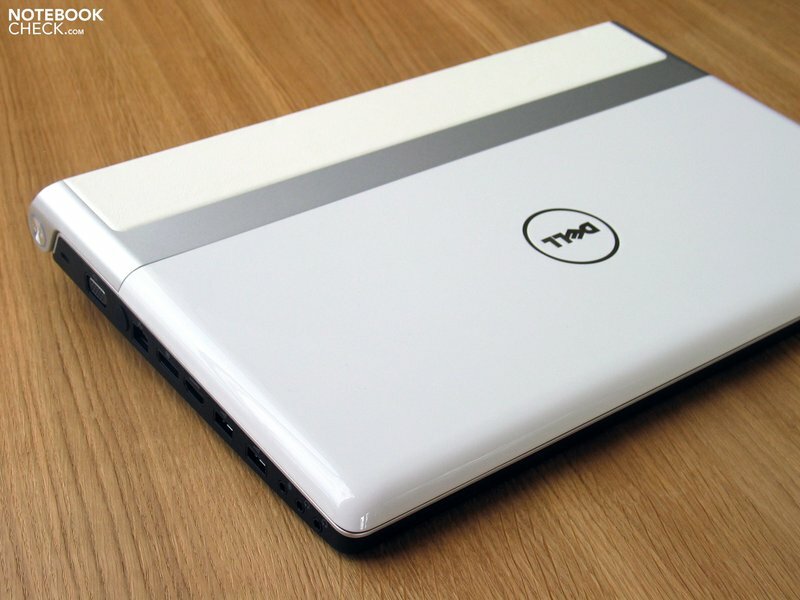 In comparison to the new Studio XPS range's configuration at its launch, it promises a great performance boost. The following review will unveil how the interplay of performance, emissions and battery life works out. With the white outfit of our last prototype, the third Studio XPS design alternative now also finds its way in our editorial office. Subjectively, we preferred the red edition of the notebook, but tastes, of course, vary. Apart from the color selection, the display lid's finish and the used leather are always matched very well and have been manufactured cleanly. 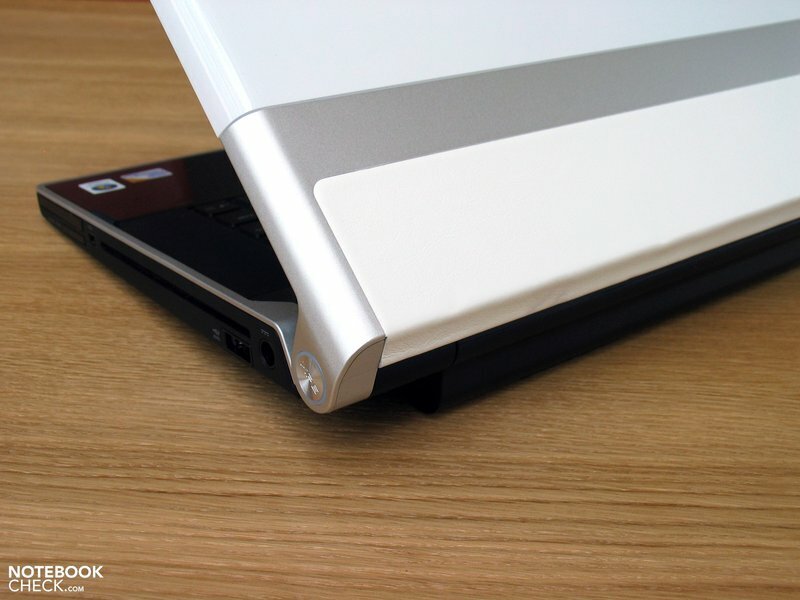 This basically applies for the whole device that has a good stability due to its aluminum base and also makes a haptically high-end impression. 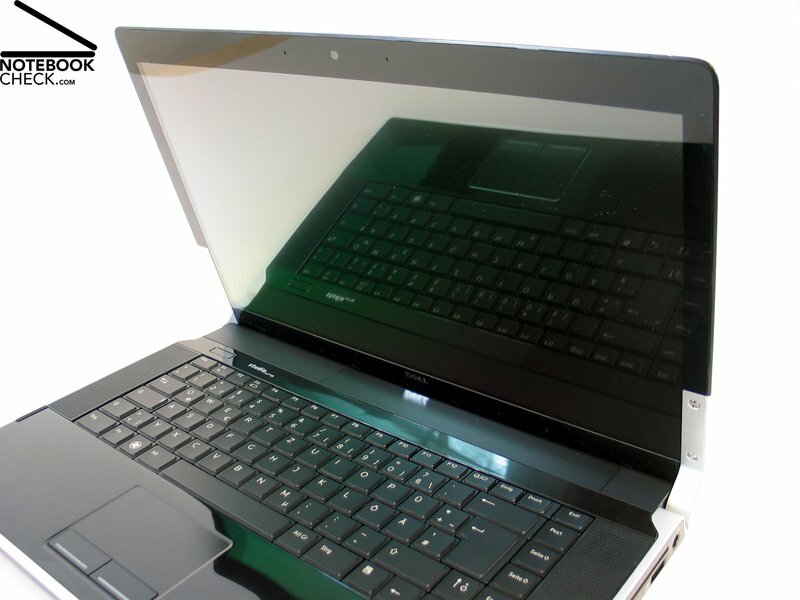 However, the aluminum surfaces have the advantage or the disadvantage, depending on how you see it, that the heat inside the notebook is emitted strongly over the entire notebook surface. More to that in the emissions category. 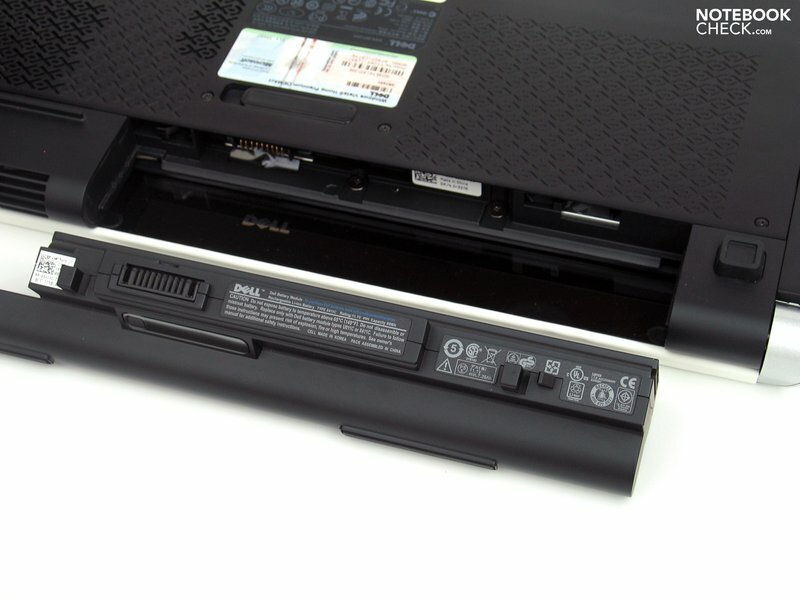 Minor modifications have been made in the latest versions of the Dell Studio XPS 16, which may have an impact on the air circulation, for example. 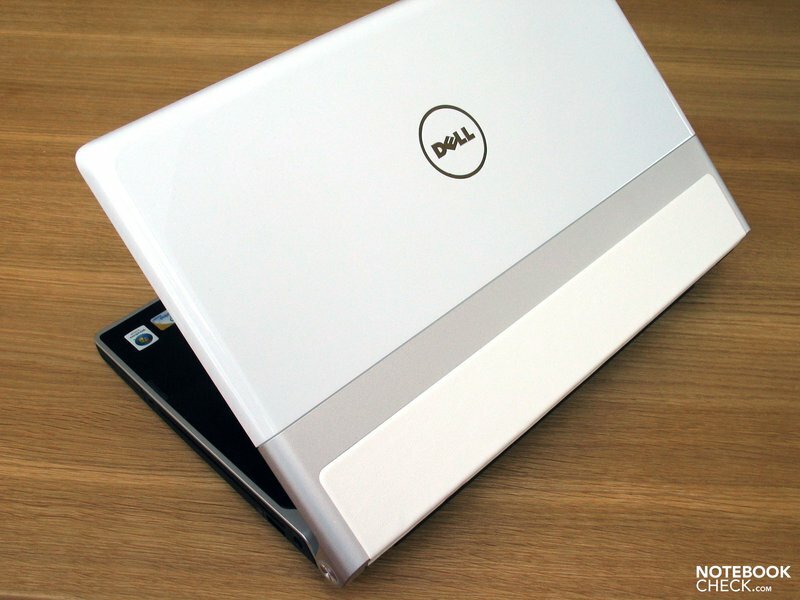 Readers, who would like more information about the points: case, connectivity, input devices and display should find this in the existing review of the Dell Studio XPS 16 or the preview of this test. Following review primarily looks at the graphic card upgrade to ATI Mobility Radeon 4670 and the results related to this. Dell Studio XPS 16 "white"
The choice of processors in Dell's webshop usually isn't very generous and is continuously prone to change. At the moment, the T6600, T9600, T9900 and the P8600 chip can be selected. It depends strongly on which pre-configured package you choose. If the preferred CPU isn't listed, you should call Dell's order service so that an individual overture can be configured. The efficient two-core chip of the current Penryn generation, the Intel Core 2 Duo P9700 has been built into our prototype. The chip belongs to the fastest currently available dual-core processors with a clock rate of 2.8 GHz. Merely the T9800, the T9900 and the X9100 are to be placed above the performance of the P9700. The chip, as a representative of the Pxxx design, can also impress with a low TDP value (Thermal Design Power). It's under that of the 35W of the Txxx range's processors with 28W. As to the cooling load, our prototype has a slight bonus in comparison to configurations with Txxx chips, such as the T9800. Whilst the effect of the CPU on the whole system and in single games should be seen with apprehension, it can be safely said: The efficient chips especially have an impact on the notebook's total price - and that not too little. 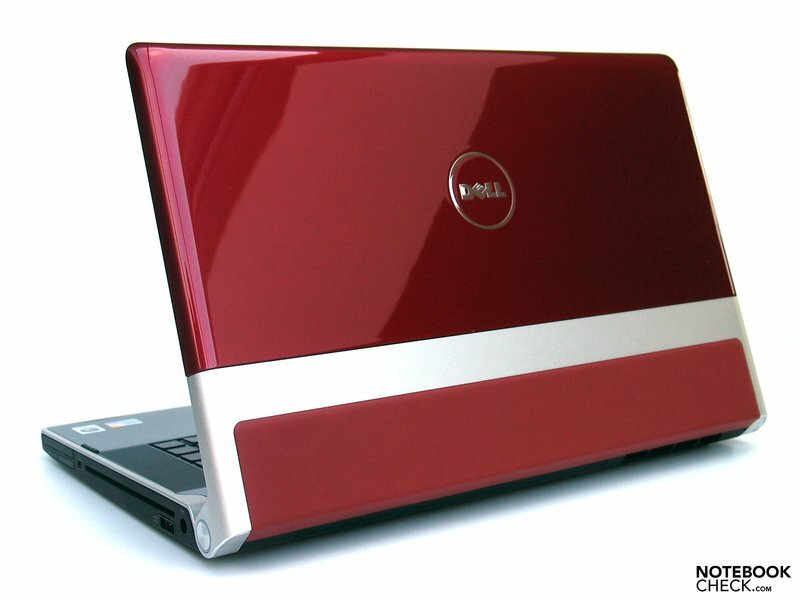 Taking the T6600 CPU as the basic configuration for granted, Dell estimates an additional 80 Euros for, for example, the P8600 chip in their webshop (09.10.01). It's even 300 Euros more for the T9600 alternative and an additional 640 Euros for the top configuration with a T9900 chip. Dell's price design is a bit mysterious, taking a look at the current Intel prices (1k units: P8600-$209, T9600-$316, T9900-$530). For instance, as Dell has a price difference of 220 Euros between the P8600 CPU and the T9600, it's merely 107 Dollars at Intel. Performance-orientated users have to fork out a considerable sum here. The CPU performance can be well visualized based on the Cinebench R10 rendering benchmarks. Our test configuration achieved around 3425 points in the single-core test and good 6133 points in the multi-core rendering test. With this, even the average results of the older Core 2 Extreme X9000 CPUs (800MHZ FSB, 6MB L2-Cache, 44W TDP) could be topped - needless to say with a considerably lower power consumption. Now to the employed graphic card, the Mobility Radeon HD 4670 from ATI. This chip is technically based on the Mobility Radeon HD4650, which could already convince in a few lower priced multimedia notebooks. The 4670 promises a somewhat better performance with a higher clock rate. However, this is usually connected with higher emissions. The graphic chip has one gigabyte of video memory of type DDR3 in the tested configuration at hand. In comparison to GDDR3 video memories, the normal DDR3 modules are considerably cheaper, but also a bit slower. Moreover, ATI states a maximum power consumption of around 30W for the chip. Tested with Futuremark's well-proven 3DMark 2006, the Studio XPS 16 promises an enormous performance boost, in the configuration at hand. 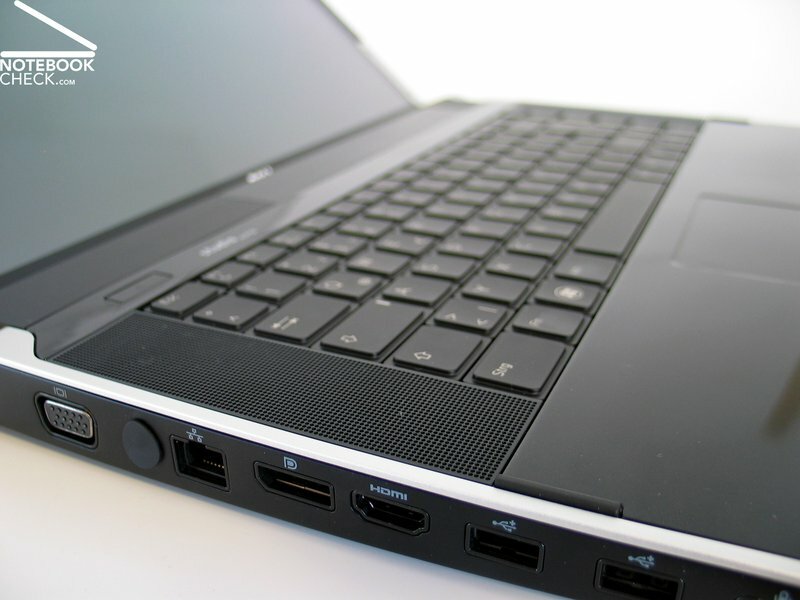 The notebook climbs up to 6800 points from only just 4279 points in the configuration at the series' launch (T9400 CPU / HD3670 GPU). 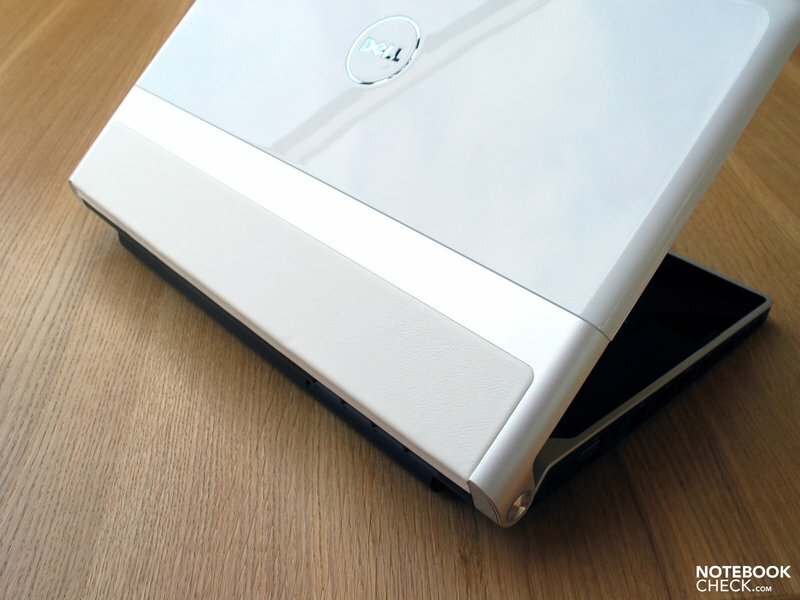 Therefore, the Studio XPS 16 would be on the same level of the Acer Aspire 8935G or the Asus G50 with a Geforce 9700M GT graphic. The result of the latest 3DMark Vantage benchmark test also remained in the expected field. 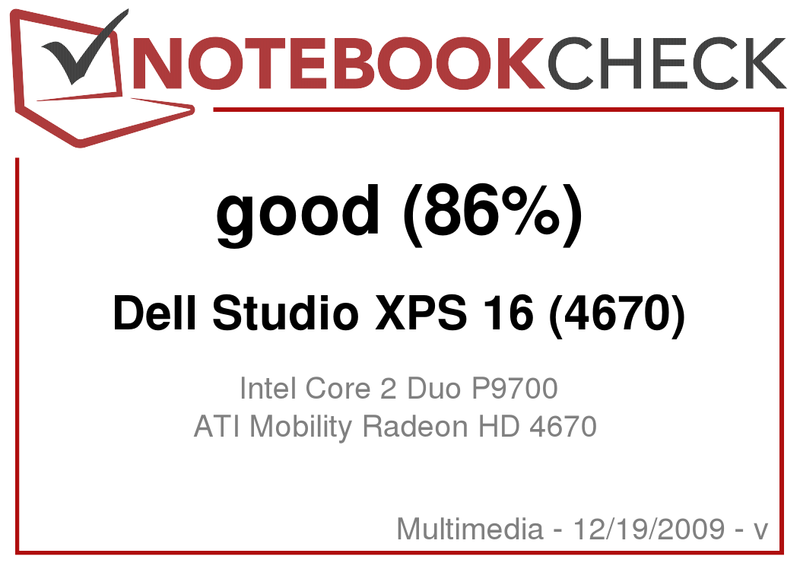 The XPS 16 once again placed itself on the level of the Acer Aspire 8935G and somewhat under the MSI GT627 with an total score of 2927 points. Depending on the device, the GPU score is on the same level as the ATI Mobility Radeon HD4650 and considerably in front of the Geforce GT 240M in the Acer Aspire 5739G and clearly behind the Geforce GTS 160M with its partial rating of 2547 points. 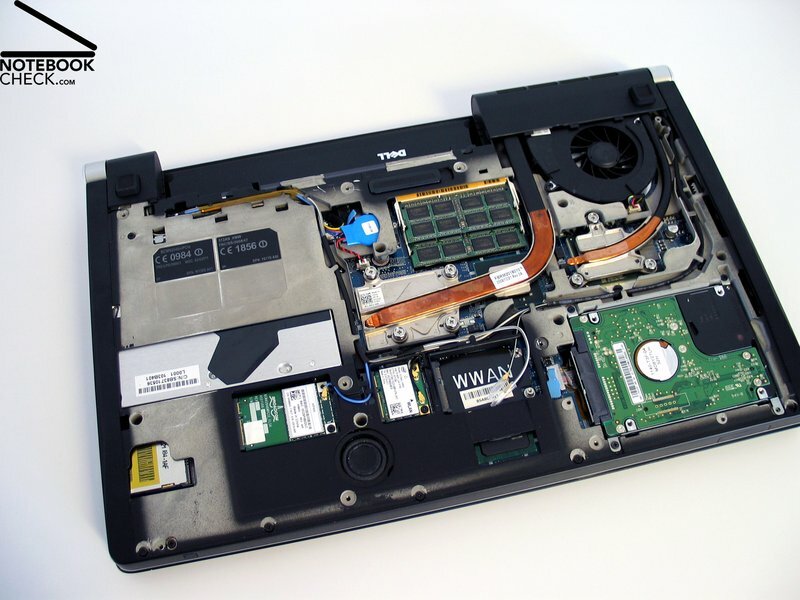 What does the Studio XPS 16's general performance look like? Amongst others, the latest PCMark Vanatage should provide information. 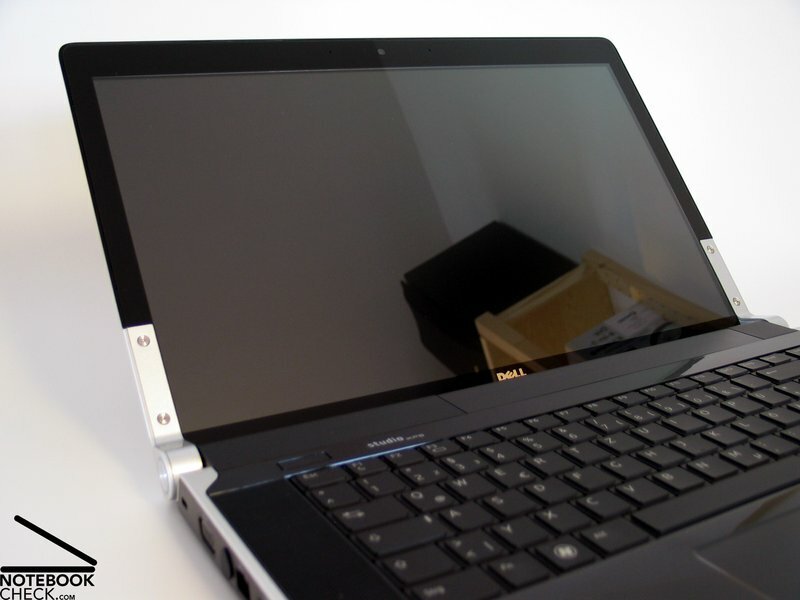 The notebook achieved a bit more than 4000 points in the overall score and is, therefore, almost on the same level as the already tested Acer Aspire 5935G, GT 627 from MSI, the Asus M60VP and the Latitude E6500, also from Dell. In view of RAM, our prototype had a 4 GB DDR3 module (2x2048MB, PC3-8500F from Hyundai). 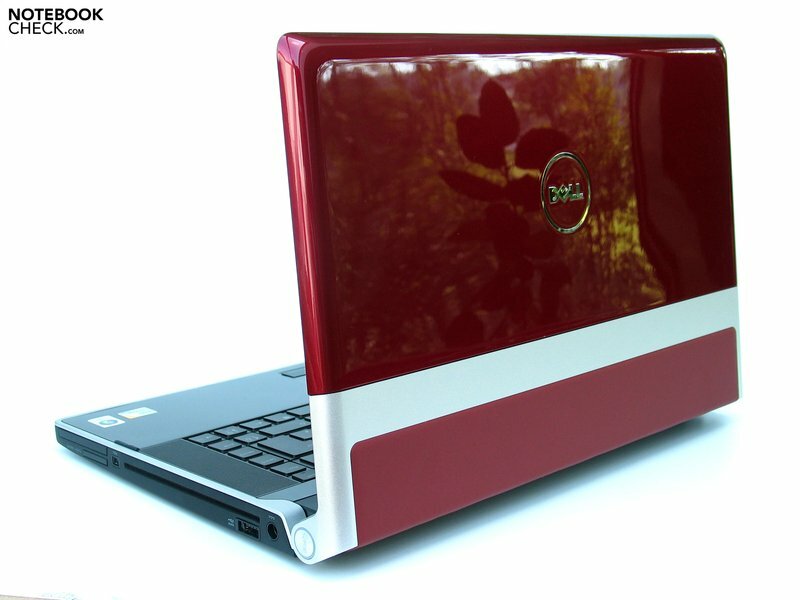 Fittingly, we used the notebook with Windows Vista Home Premium in its 64 bit edition. If available, the executed benchmarks (PC Mark Vantage, Cinenbench,…) were rendered in the 64 bit version. 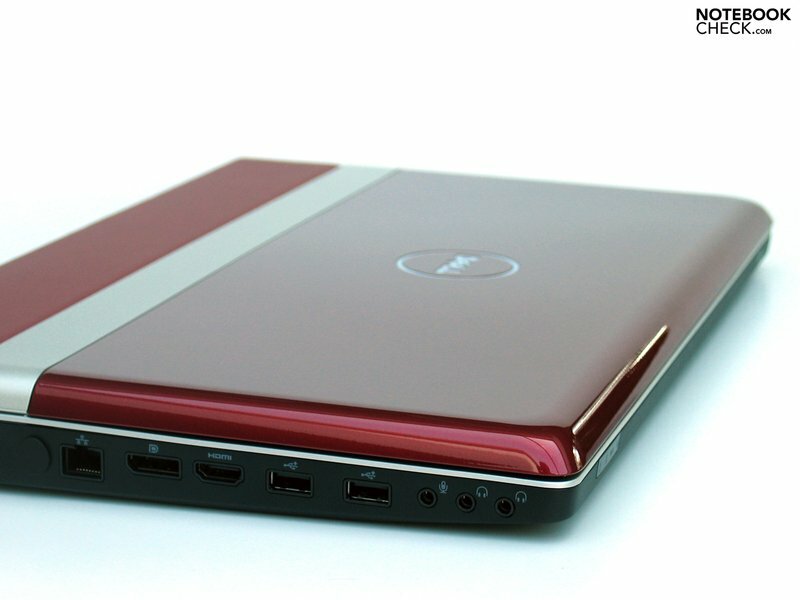 Dell supplies the configuration with a maximum of up to 8 GB RAM and that to a steep surcharge of 1.062 Euros. Yes, in fact, DDR3 modules with 4096MB are still relatively expensive, but in comparison to current street prices this offer seems to be less attractive. High-end 4GB DDR3 modules can already be attained for about 300 Euros. 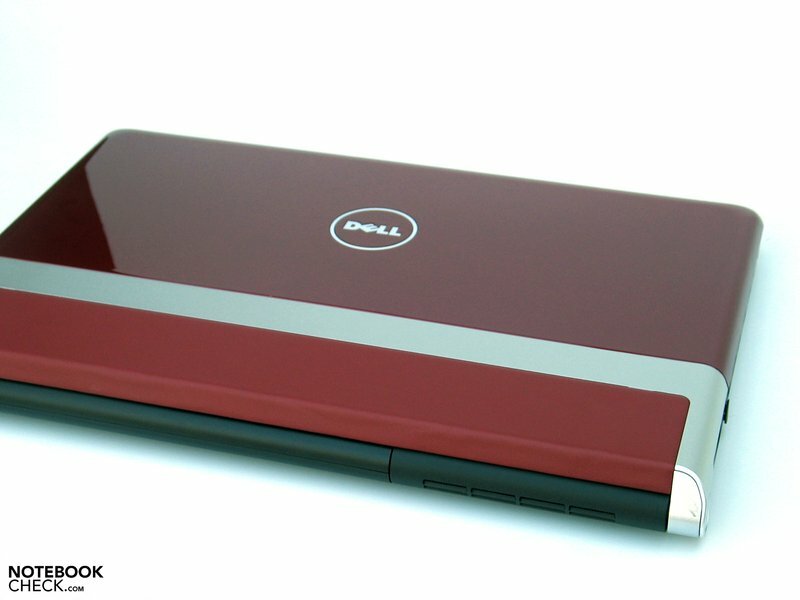 Thankfully, Dell makes it easy to upgrade it yourself in the Studio XPS 16. 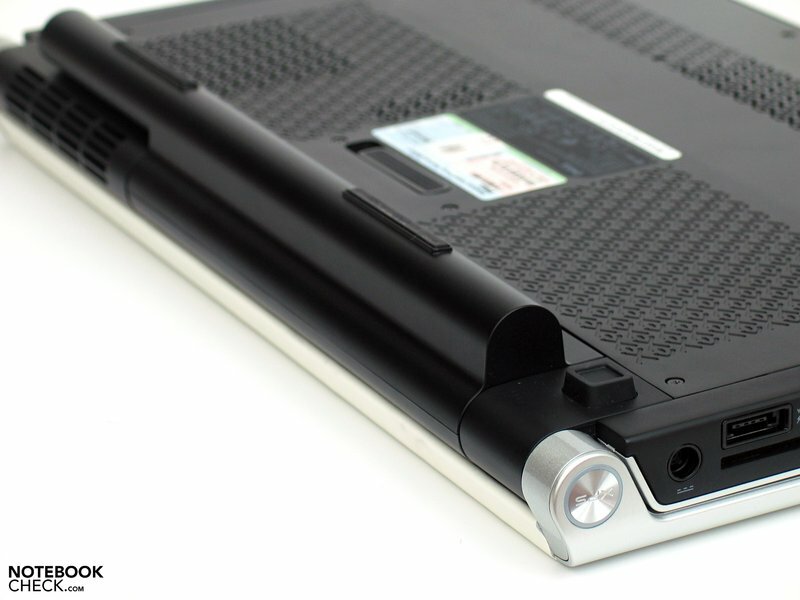 The large maintenance cover on the notebook's sub tray can be removed with a screw driver and you have access to all built-in components. For performance orientated customers this is one of the more attractive solutions. An exchange of the hard disk is also possible, which is fastened with four screws and can be removed just as fast. A speedy 7200 hard disk with a gross capacity of 500 gigabytes has been used in our prototype. The Seagate Momentus ST9500420ASG shows good average transfer rates of 76 MB/s and an equally adequate access rate of 17.3 milliseconds in the HDTune Benchmark test. A plus on performance might be possible by using an SSD. Dell offers a not closer defined 256GB SSD at a surcharge of 330 Euros. Checking current market prices, there is a positive surprise: Solid State Drives with the same capacity currently cost at least 500 Euros. However, it is absolutely necessary to consider the built-in model because also vast performance differences in the SSDs have been observed, as our previous comprehensive SSD review has shown. 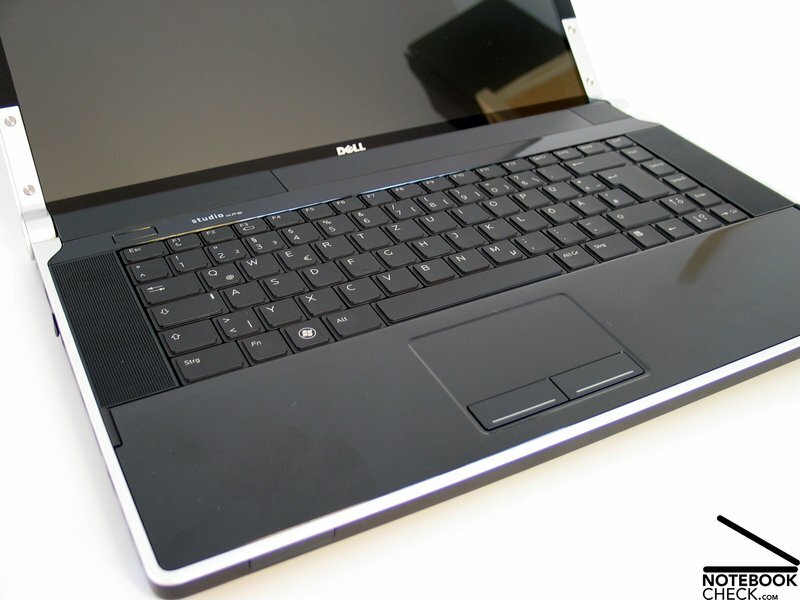 Addendum: According to Dell's information, memory from Samsung is used, namely the PM800 models with a capacity of 256 GB and that have a street price of around 500 Euros. In consideration of this, the stated surcharge can almost be called a bargain. The latencies under Windows Vista were examined with the DPC Latency Checker tool. They always remained exemplary within a limit. In only single cases were the results within an amber area. 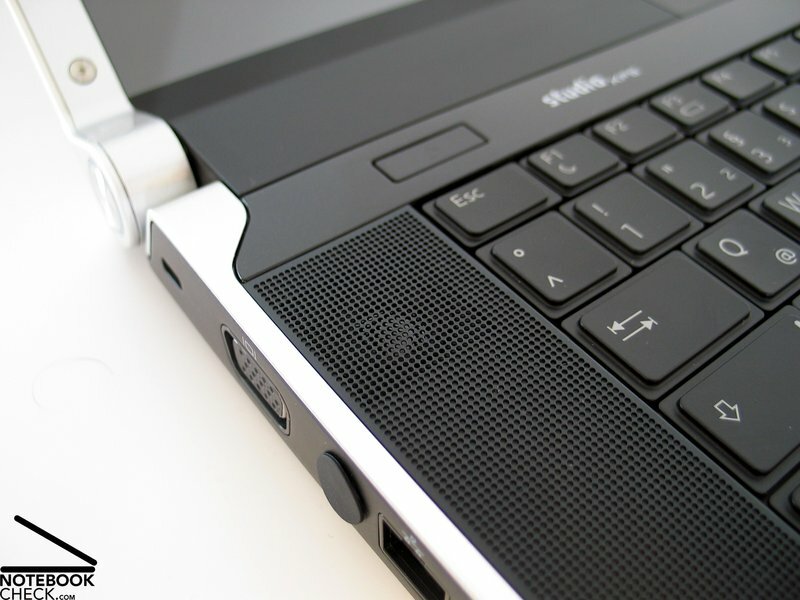 Therefore, the Studio XPS should also be suitable for the connection of external sound cards and comparable peripherals, at least with the preinstalled drivers on our prototype. 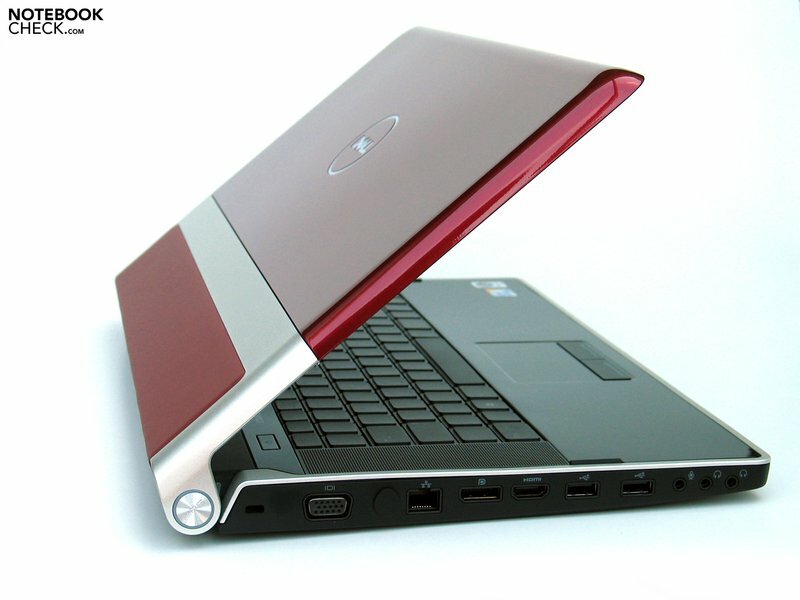 Naturally, the use of the new ATI Mobility Radeon HD4670 has set gaming addicts in a state of euphoria, as the graphic chip in the XPS 16 is in the upper middle class and with which it should be possible to execute even the latest games in an attractive graphic. 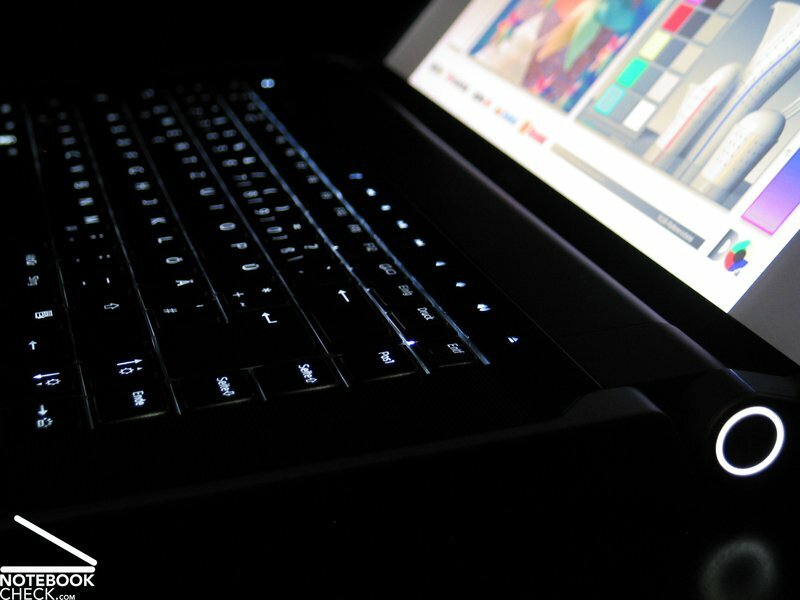 It's understandable, however, one thing should be put straight: The Studio XPS 16 hasn't been conceived as a gaming notebook, but rather as an efficient multimedia device with its strengths especially placed in the rendering and editing of videos (1080p FullHD RGB LED Display). In this relation, the single efficient, even if still very expensive, components (T9900 CPU, 8GB RAM, 256GB SSD,…) become understandable - hardware, on which gamers can usually forego. 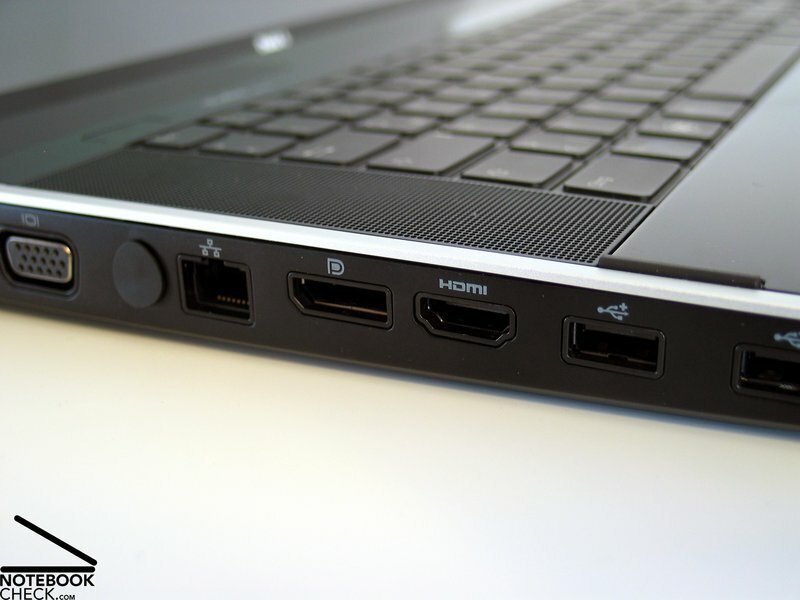 The configuration prices quickly reach an Alienware level, the actual "playground" for gamers. Be that as it may, we couldn't resist sending the XPS 16 over our test course with a few contemporary games. The employed graphic driver was 8.14.10.0655 (ex factory). As usual, we tested the horror shooter on three detail levels in insinuating the demo's first single player mission. Fraps recorded a high frame rate (800x600, low) with an average of 104.24 fps, whereby the refresh rate broke down to under 30 fps for a short time. The Studio XPS then achieved an average of 62.48 fps at medium details, whereas the fps rate is within a range of 30 and 60 fps and breakdowns to fewer than 15 fps are also recorded. It looks pretty much the same at high detail settings that reduce the average frame rate to 52.3 fps and also show short breakdowns in the unsmooth area. Generally, we could observe single disturbing studders in all tested settings, even if these can't always be recognized on the fps diagram. We also made a short side-step to the controversial game Farcry2, which we checked with the integrated benchmarks as well as in a practical gameplay. The Dell Studio XPS 16 managed an average of 35.93 fps in high details in the benchmark test and stayed over the critical 30 fps, with exception of a few slip-ups. The practical test supplied a consistently smooth frame sequence at the same resolution, but with somewhat lower details. We didn't have very big expectations as to performance, but the result is interesting anyway. The game-integrated GPU benchmark test supplied an average of 30.22 and 23.59 fps in high and respectively medium details. Both results barely promise smooth gaming fun. However, the good average result of 54.88 fps faces the fps-sequence, which often shows a breakdown under 30 fps, despite the lowest detail level. Even subjectively, studders were noticed. The best of three runs were taken for comparison. The shooter Call of Duty 5 is new to the gaming tests. Not only were the average fps values of 26.22 and 29.7 in an unattractive field at a selected medium and high detail levels, the fps sequence presented repeated breakdowns to under 15 fps, which were subjectively expressed as studders in the frame sequence. A further detail level reduction to low raised the result to a good 57.13 fps on average, but couldn't prevent repeated breakdowns to 15 fps, either. Studders were also noticed here. Last but not least, we ran the especially in Germany popular building strategy game Anno 1404. A perfectly smooth frame sequence isn't really necessary for gaming success, but as the game is on the highest graphic level, it boosts the gaming fun with an according representation extremely. Fraps recorded at insinuating the campaign demo an average of 24.8 fps at even high details. Subjectively, we found the frame-sequence too slow and the studders suggested a reduction of detail settings to medium. The practical gaming test in these settings didn't bring any permanent improvements, either. The long term fps record showed consistent breakdowns to the area of 15 fps, which showed themselves as studders in a gameplay. Altough Anno was generally playable without problems in these settings, we have to accommodate ourselves to these short breaks. If you can't, or rather don't want to, there is only a further detail level or resolution reduction left, at the expense of the graphic quality. Unfortunately, great effects, such as the transparency of the animated water surface, are then also lost. Verdict: Basically, the ATI Mobility Radeon HD4670 belongs to the high-performance multimedia graphic cards. 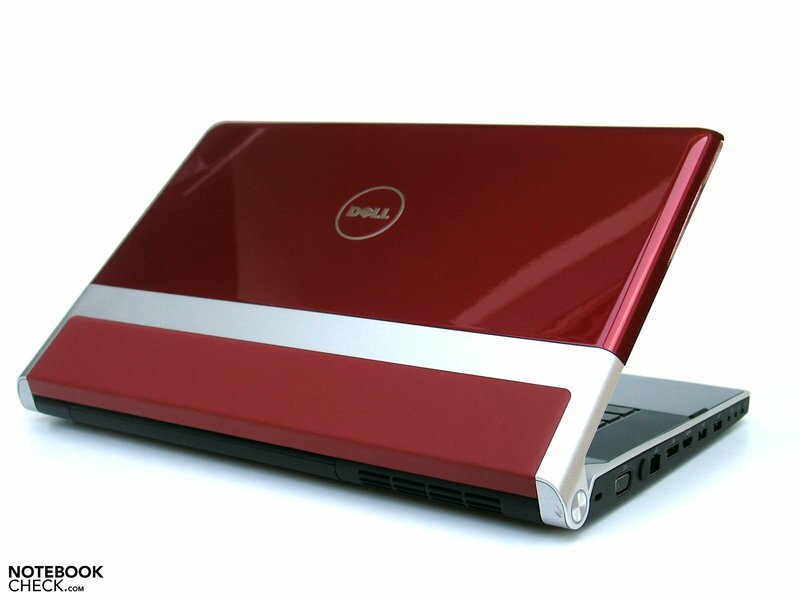 Its use in the Dell Studio XPS 16 wasn't really impressive in the practical test with various games. Principally, this was due to the observed repetitive short performance breakdowns, which were also already seen in the Acer Aspire 8935G with identical graphic hardware. The given performance should satisfy occasional gamers, but ambitioned gamers won't be happy with the inconstant performance, especially in shooters that require a consistently high frame rate for a successful session. 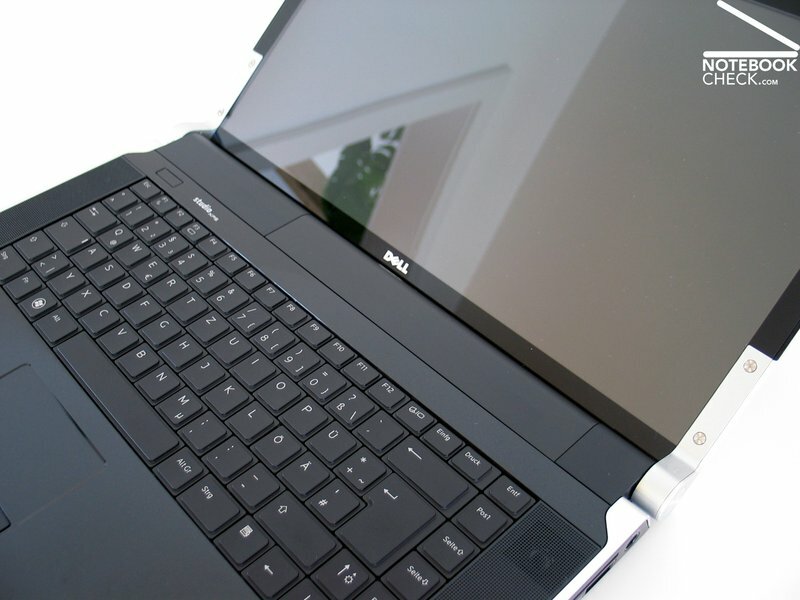 The Studio XPS 16 proves to be mostly a pleasantly quiet contemporary in office mode. With a volume of 32.7 dB(A), the notebook can be faintly heard, but stays modestly in the background. 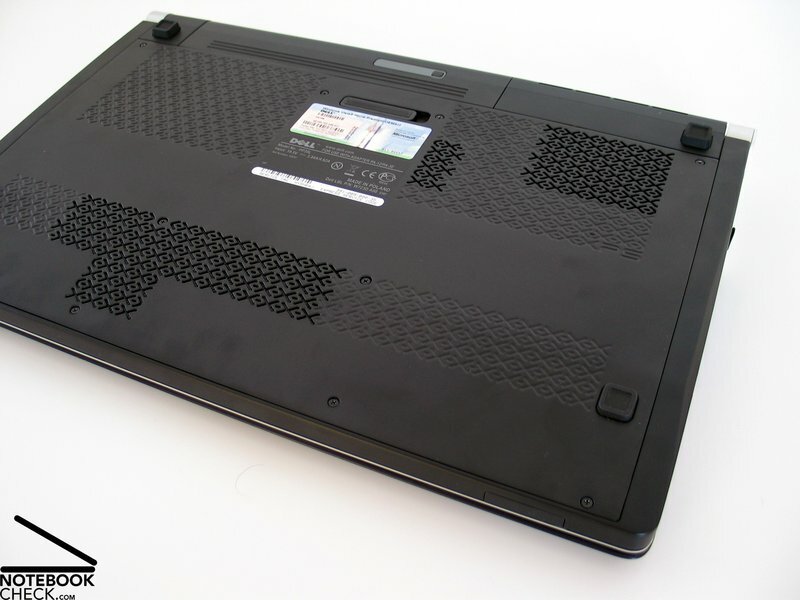 Depending on the load requirement, the fan can increase its velocity for a while every now and then, and the laptop gets quite audible with 35.8 dB(A), if not even disagreeably loud. Accessing data on the hard disk is just as audible, as also DVD rendering with the optical drive is in a definitely audible field of 38.6 dB(A). The Studio XPS quickly reaches a level of 42.1 db(A) under load and can be described as very audible, but not disturbing due to the low frequency noise. Even over a longer time of full load, the notebook stays constant on this level. The difference to the measured surface temperatures under load and in idle/office mode is extreme. We could establish a maximum of 44.5 °C on the case's upper side in the area of the touchpad after several hours of CPU and GPU load (Furmark and Prime95). This is also subjectively felt as very warm. The case's bottom side even reached a somewhat higher 47.7 °C. These results were measured with the 9 cell battery that was included in our prototype. 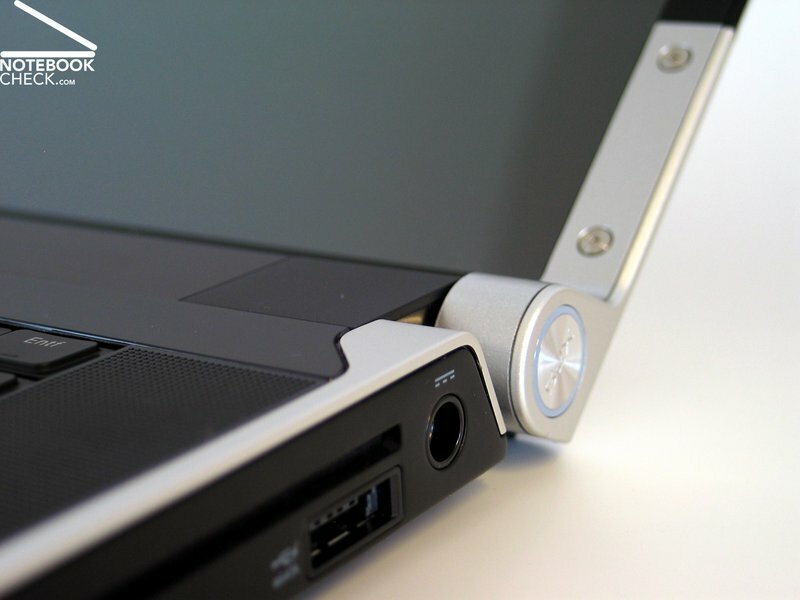 It elevates the notebook very obviously from the surface and allows a better circulation around the case. Because of this we executed the same measurements with the 6 cell standard battery. There was a general temperature increase of about 1 - 2 °C on both the case's upper and bottom side to be observed. The maximum temperatures stayed almost unchanged. A completely opposite picture was shown by the surface temperature measurements in idle and in low office load. The notebook's upper side always stayed in a pleasant field with 34.7 °C and the bottom also only heated up to an uncritical 38.7 °C. 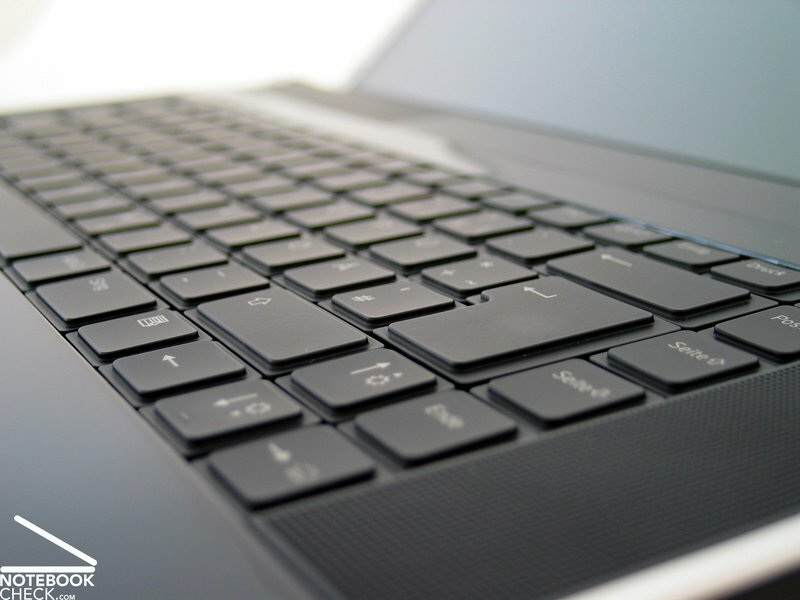 As the name already indicates, the use of the laptop on the lap shouldn't be any problem, at least as long as not too much demand is placed on the device. 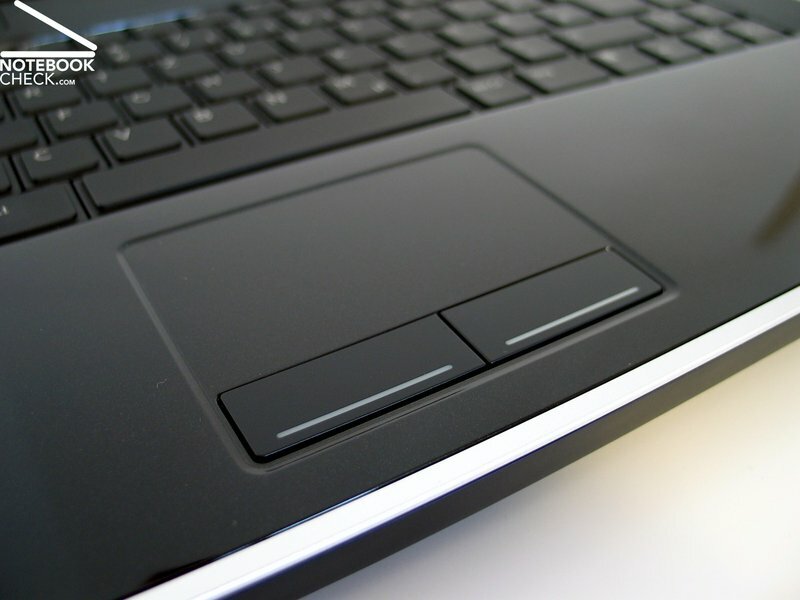 (-) The palmrests and touchpad can get very hot to the touch with a maximum of 44.5 °C / 112.1 F.
(-) The average temperature of the palmrest area of similar devices was 29.1 °C / 84.4 F (-15.4 °C / -27.7 F). A much discussed point, in relation to this, is also the possible "throttling" of core components due to too high a temperature. In order to test this, we put our prototype under load overnight (Prime95 and Furmark) and afterwards compared the result in the 3DMark with that of a cold state. And see there, it was even 7 points more with 6828 points. In a previous, defect prototype problems turned up in relation to this. The core component temperatures inside the case are, of course, gripping. Unfortunately, it wasn't possible to read the graphic card's temperature. Merely the sensors of the employed CPU and HDD could be visualized. Our first quickly reached a temperature of 55 - 60°C under load of CPU and GPU, however it remained constantly at this level even after several hours of system load. The slim adapter troubled us, though. It heated up to 77.2°C after several hours in the stress test (CPU and GPU load). It better not be touched in this state. In any case, it is recommendable to deposit the adapter in a well ventilated place in order to allow the heat to discharge in the surroundings. This is probably the price to pay for an adapter with a small component size and acceptable 440 grams. Our prototype was already fitted with the biggest possible 9 cell battery. This is also currently not available in the webshop and can only be ordered via telephone. With a capacity of 85 Wh, it promises a runtime increase of around 50 percent in comparison to the standard 6 cell lithium-ion battery. 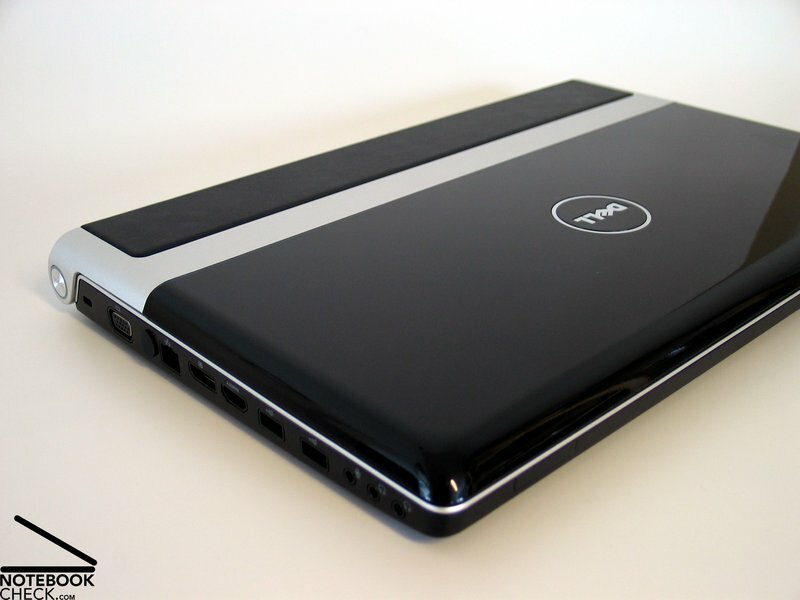 In the worst case scenario, that is under load with maximum display brightness, activated communication modules and high performance profile, the Dell Studio XPS 16 reached a runtime 94 minutes in the BatteryEater Classic test. The upward limit is, as always, marked with our BatteryEater Reader's test with maximum energy savings options (min. 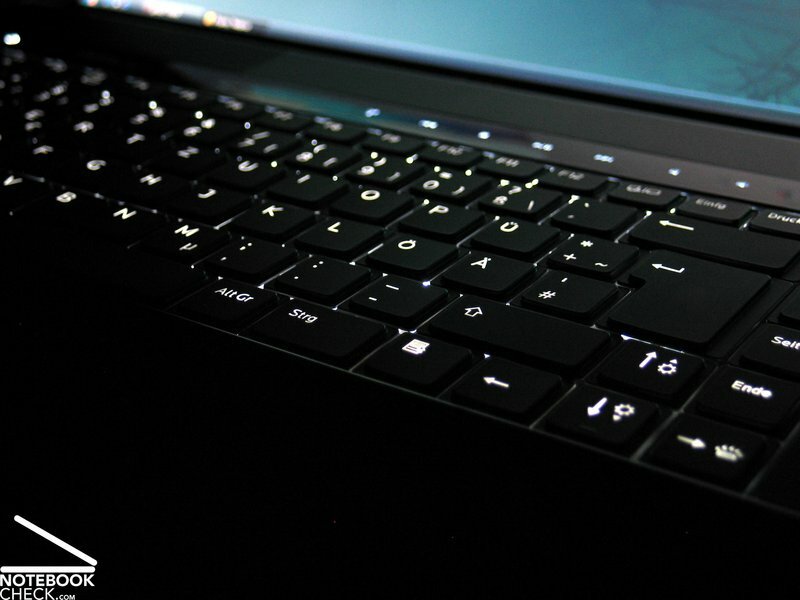 display brightness, WLAN and BT off). The reached runtime was 234 minutes, hence almost 4 hours, here. At practical WLAN use, at maximum brightness and activated energy savings profile, the Studio XPS 16 lasted 176 minutes, that's about 3 hours. This makes a restricted mobile notebook use possible. If the 6 cell alternative is chosen, then you have to be satisfied with merely about 2 hours. A charged 9 cell battery is at least enough for DVD rendering, as it achieves 147 minutes in this exercise. However, it gets tight with a BluRay disk. Our test movie, James Bond - Casino Royale, couldn't be played completely because the given 125 minutes weren't enough. Comparing these results with those of the Studio XPS 16 in its primary configuration at its launch, the measurements are in a comparable range, or rather they are marginally higher than those of our established runtimes with our previous prototype (6/9 cell battery considered). 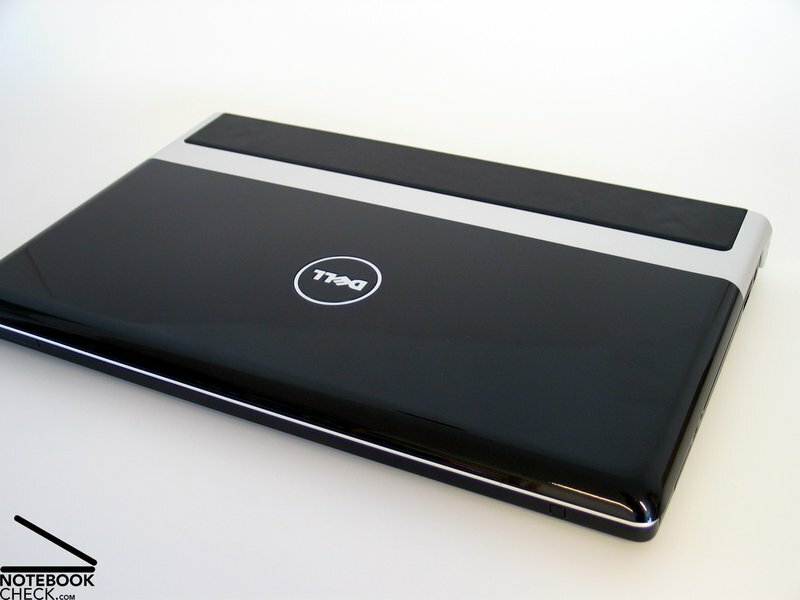 In view of case and connections, the revised version of Dell's Studio XPS 16 is also in the known quality. The chassis pleases due to the high-quality materials applied and the good stability given. The case's heating under load was comparatively high, just as in the first available configuration in the beginning of this year, but were at least kept within a limit at office use. This applies also to the notebook's noise and the fan volume under load. This was the case of our prototype ex factory without any various modifications. A system re-installation, as reported in our German forum, wasn't necessary for that. However, reports in view of studders in various games have been confirmed by single users. 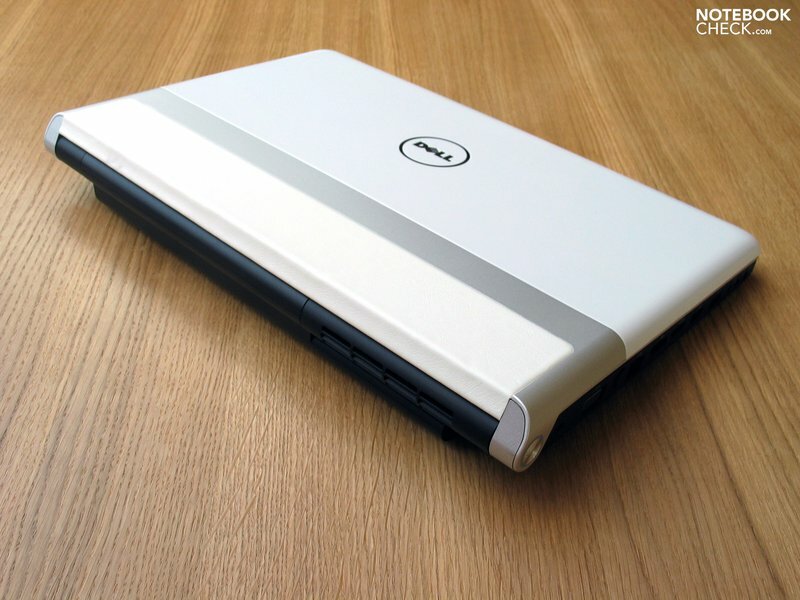 Following the advice of a few of our forum readers, we relaunched the notebook and equipped it with drivers from Dell's homepage. Thanks to the integrated recovery option (system start-F8), it was fairly easy to do. However, the given graphic driver was the same as the one before found on our prototype before the re-installation. Therefore, it wasn't very surprising that there weren't any significant changes in view of games and benchmarks at re-testing. Basically, the Dell Studio XPS presents itself as a high-end multimedia notebook, whereas its strengths are definitely not found in the gaming field. Contrarily, the notebook bids an efficient platform for rendering and editing FullHD materials. The RGB LED display with a resolution of 1080p just tops it. The display as before. The LED RGB screen with a FullHD resolution is simply fun in every application. A consistent performance in gaming mode. Too bad that the key data is right but the XPS 16 loses its face in the practice. Always again: The price design in the online shop. A few things are inconceivably expensive, whereas other components are actually shown as much too cheap. There probably is only a guaranty in a written offer. 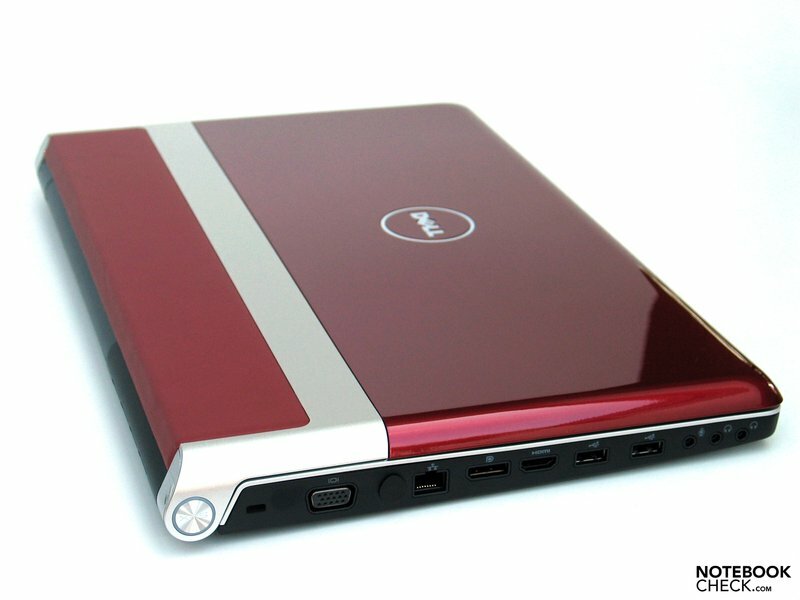 "Premium multimedia notebooks", as Dell labels the Studio XPS 16. 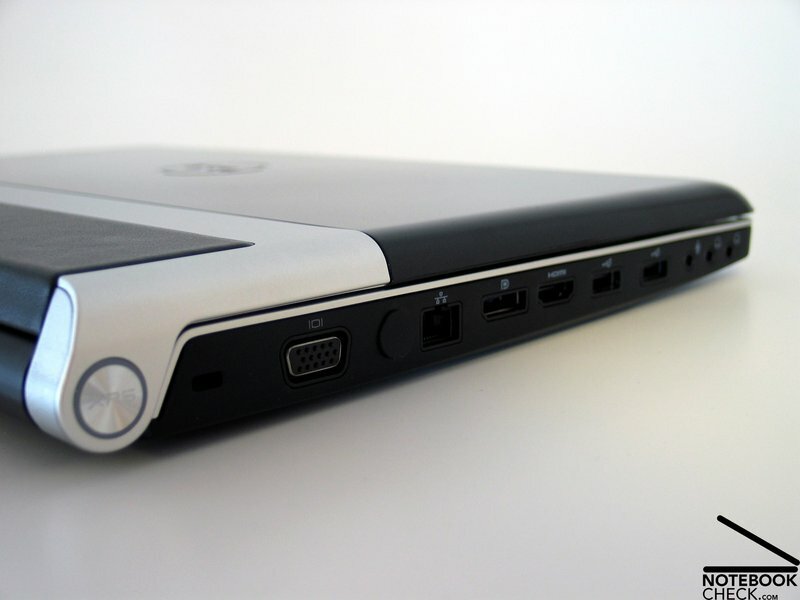 Even if this can't be directly compared, names like HP Pavilion HDX or most likely the new HP Envy 15 could be mentioned. Not to be forgotten: Apple's MacBook Pros in a 15 and 17 inch format.